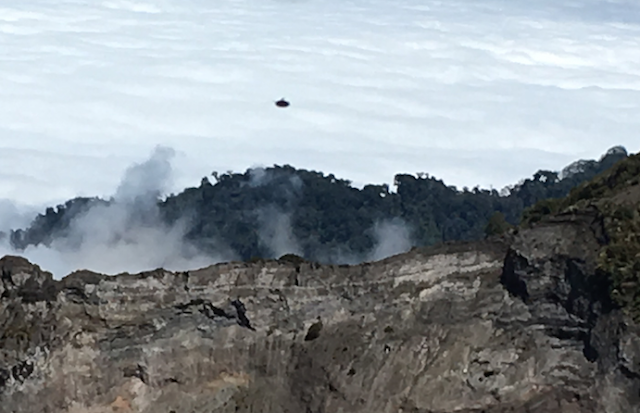 UFO SIGHTINGS DAILY: UFO Exits Volcano In Costa Rica On Feb 2016, Photo, UFO Sighting News. UFO Exits Volcano In Costa Rica On Feb 2016, Photo, UFO Sighting News. 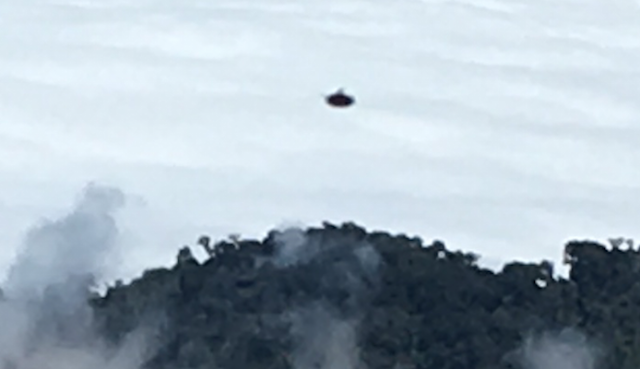 This UFO was seen over a Irazu Volcano in Costa Rica this week. 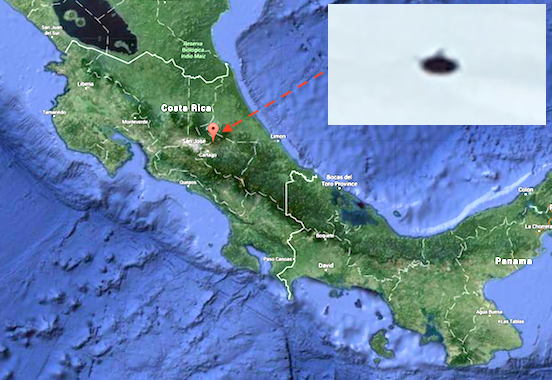 It was probably exiting an underground base that is 4-5 km below the volcano. 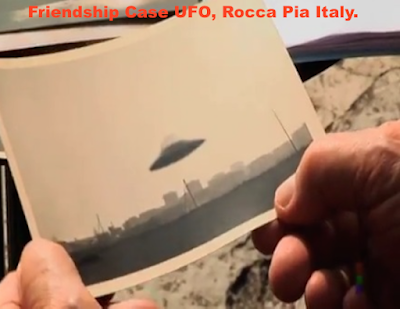 Aliens often chose high peaks and volcanos to make a base below, because of their secludedness and difficulty for humans to explore. Thus, the risk of them being seen is low. This ship has a lot of similarities to the Friendship case craft in Rocca Pia, Italy. 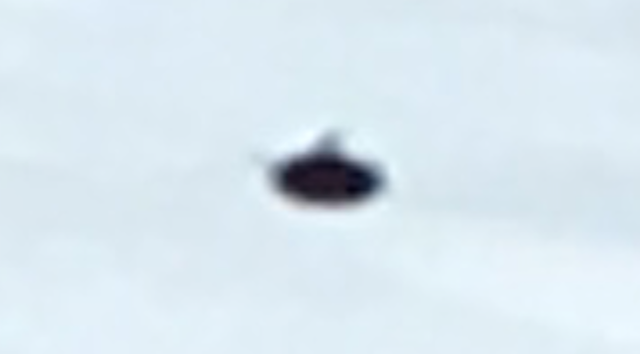 You can see a glass dome over its top. I was with my girlfriend visiting Irazu Volcano national park in Cartago Costa Rica. The weather was really nice. Very good sun light not cloudy. 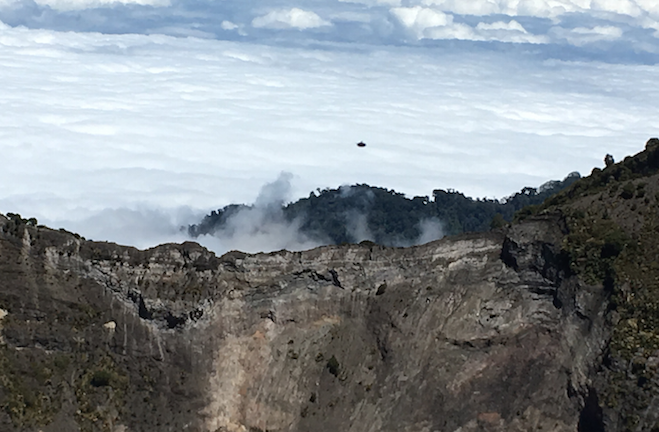 This Volcano is 3400 mts of altitude above sea level close to the biosphere. So we were above the clouds. Like when you fly on airplane. The sky was really clear so at 11:00 am on that altitude part of the sky was light black.We were taking pictures of the volcano and the landscape. The clouds looked like a white sea but I noticed close to one of the mountains some clouds with different forms. So I started to take pictures there. Once we finish the tour we headed back home. While I was checking the pictures I noticed one black circle above the mountains I noticed before. It looked like a circular sauce with 2 little antenas one on the top of it and like one on it's tail. On the moment while taking the pictures I did not see it. I took the pictures in a burst. on one pic you can see the object completely clear on the next one vanished. almost in seconds. All the pictures have less than one minute difference. I will attach the pictures guys. Thanks for your time. Greetings from Costa Rica.